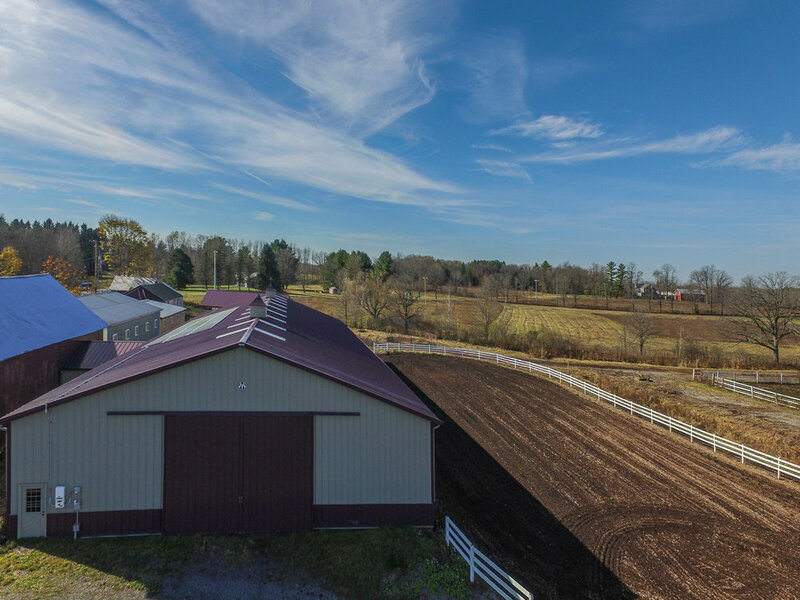 Well positioned on 8.2 acres only 30 minutes from Saratoga, this setup comes complete with a 60’ x 150’ Morton brand indoor arena, and 100’ x 200’ outdoor ring. 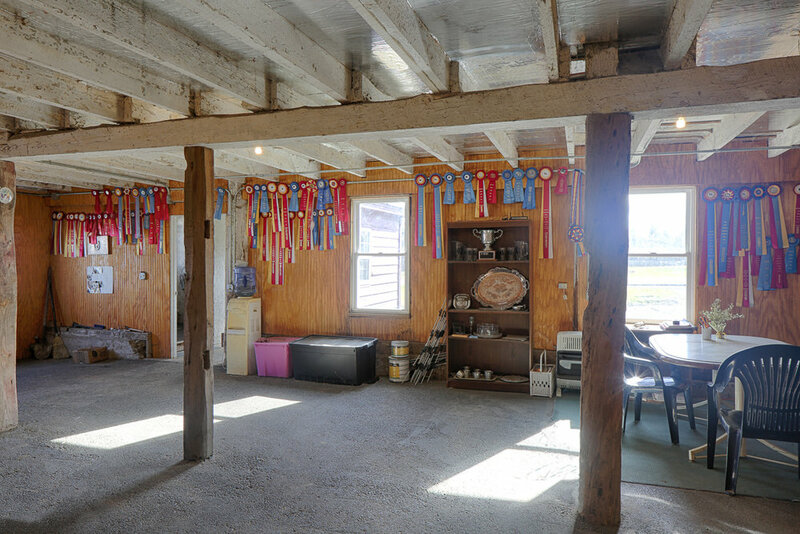 With a total of 27 stalls, the buildings include an immaculate main barn with 18 large, matted stalls, a wash rack, heated & insulated tack room and a 30’ x 30’ lounge with bathroom. It also includes a laundry area and viewing room. 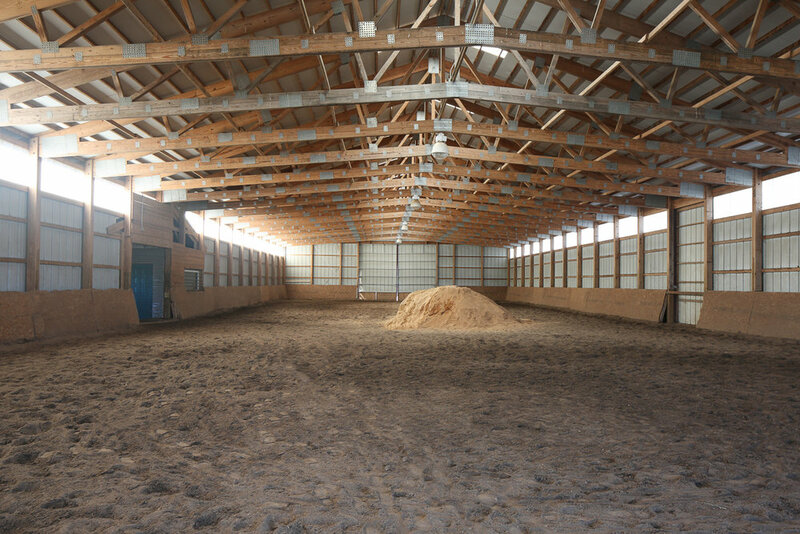 The new barn currently has 4 stalls, 3- 12' x 10' and a 12' x 20' foaling stall, with room to add 2 more, plus a tack area. 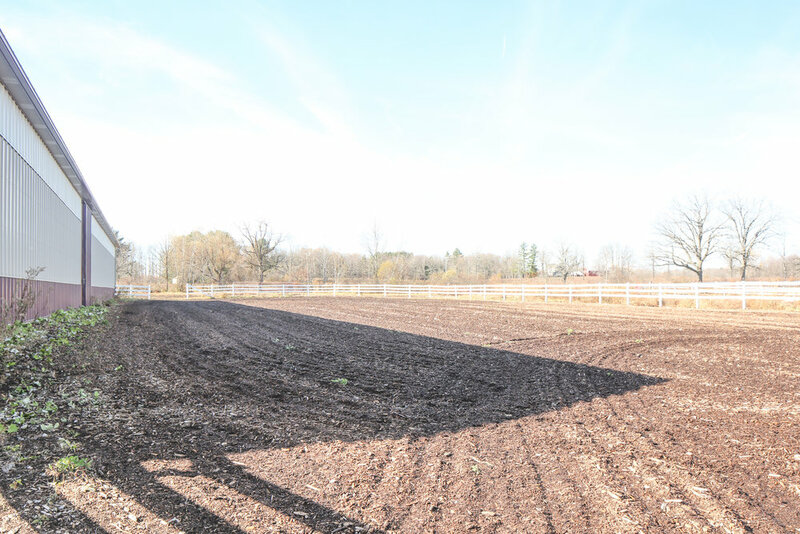 Yet another barn offers 5 stalls, 4- 10' x 12' and a 12' x 20' foaling stall. All are matted. In addition to the storage area offered above the tack room/ lounge in the barn, there is an extra covered shed to protect your hay or equipment from the weather. Solar panels power both the barn and the 4 bedrooms 3 bathroom ranch style home with walkout lower level. 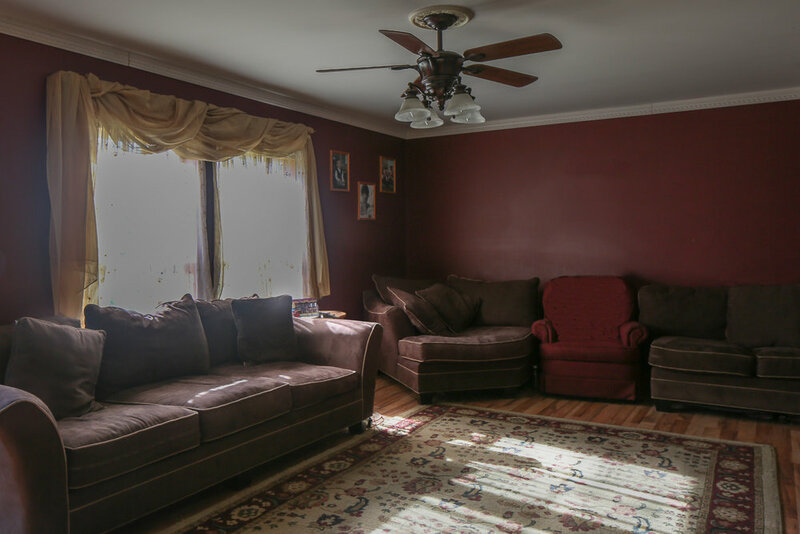 Only 10 years young, this home boasts wood floors, tiled first floor laundry, dining area, "apartment" and a sundeck overlooking the paddocks.